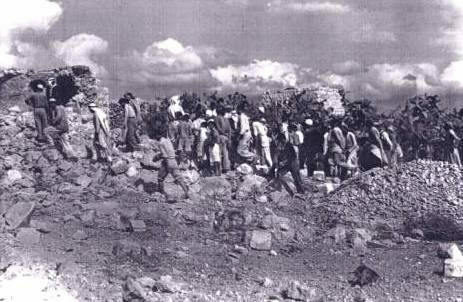 Palestinian residents returning to Qibya, 1953. 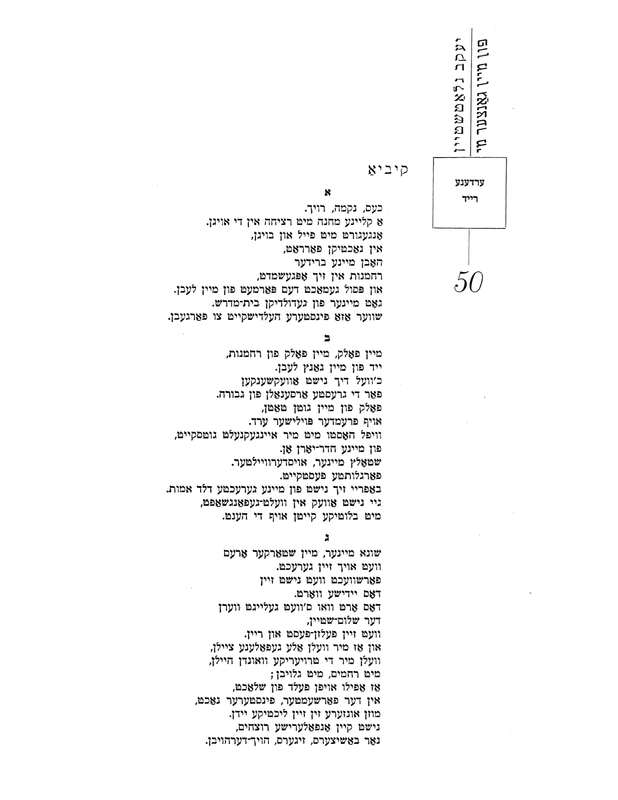 In the January 6, 1964 issue of the New York Yiddish journal Tsukunft, the famous American Yiddish poet Jacob Glatstein (Yankev Glatshteyn, 1896-1971) published an untitled poem that was very critical of the policies of the Israeli government and army. 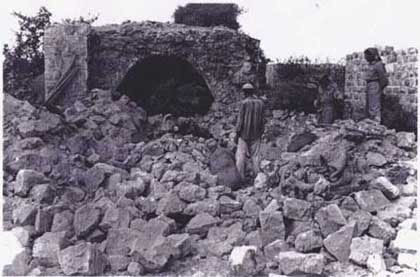 It was published in the aftermath of the event known as the “Qibya massacre,” in which the Israeli army killed some seventy residents of Qibya (a Palestinian village in the West Bank), most of them women and children, in late 1953. 1 1 See Benny Morris, Righteous Victims: A History of the Zionist-Arab Conflict, 1881-2001 (New York: Vintage Books, 2001), 276-279. In 1956, this poem was first published in a book with a slightly different arrangement of the stanzas, under the title “Kibiya.” 2 2 Yankev Glatshteyn, Fun mayn gantser mi1919-1956 (New York: Marstin Press. 1956), p. 50. The second stanza became the first stanza in the later version. 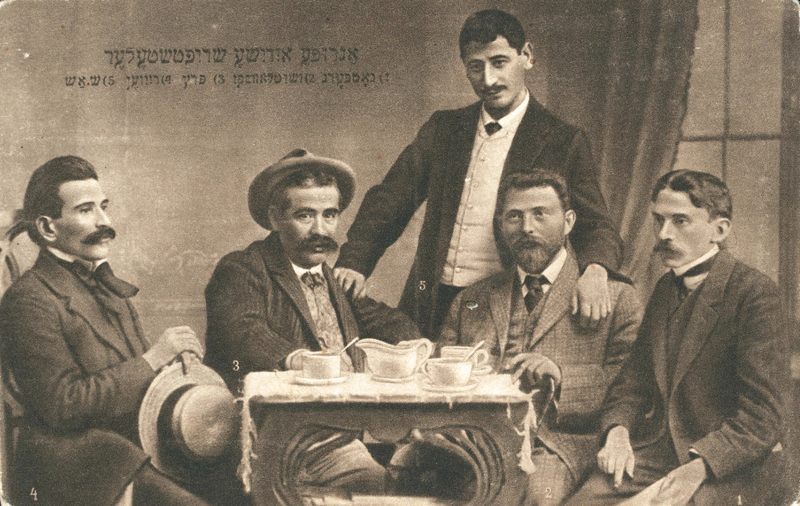 For more Yiddish and Hebrew literary and journalistic responses to the Qibya massacre, see Adi Mahalel, “Yiddish, Israel, and the Palestinians: Yosl Birshteyn’s ‘Between the Olive Trees’,” Israel Studies Review: An Interdisciplinary Journal, 30, no. 2 (Winter 2015): 71-91. In this three-stanza poem, Glatshteyn expresses his anger and protest against the Israeli violence. He sees in the violence a particular desecration of Jewish values. אַ קליינע מחנה מיט רציחה אין די אויגן. און פּסול געמאַכט דעם פּאַרמעט פֿון מײַן לעבן. גאָט מײַנער פֿון געדולדיקן בית־מדרש. שווער אַזאַ פֿינסטערע העלדישקייט צו פֿאַרגעבן. ייִד פֿון מײַן גאַנץ לעבן. פֿאַר די גרעסטע אַרסענאַלן פֿון גבֿורה. באַפֿרײַ זיך נישט פֿון מײַנע גערעכטע דלתּ אַמות. מיט בלוטיקע קייטן אויף די הענט. וועט זײַן פֿעלדזן־פֿעסט און ריין. מוזן אונדזערע זין זײַן ליכטיקע ייִדן. A small camp with murder in their eyes. And defiled the parchment of my life. My God of the patient study-house. It is difficult to forgive such devilish bravery. For the greatest arsenals of bravery. From my cheder years onward. My pride, my chosen one. Do not liberate yourself from my righteous little corner. With bloody chains on your hands. The Yiddish word 3 3 “yidish” means both “Jewish” and “Yiddish,” both senses are invoked here. Will be rock-solid and pure. See Benny Morris, Righteous Victims: A History of the Zionist-Arab Conflict, 1881-2001 (New York: Vintage Books, 2001), 276-279. Yankev Glatshteyn, Fun mayn gantser mi 1919-1956 (New York: Marstin Press. 1956), p. 50. The second stanza became the first stanza in the later version. For more Yiddish and Hebrew literary and journalistic responses to the Qibya massacre, see Adi Mahalel, “Yiddish, Israel, and the Palestinians: Yosl Birshteyn’s ‘Between the Olive Trees’,” Israel Studies Review: An Interdisciplinary Journal, 30, no. 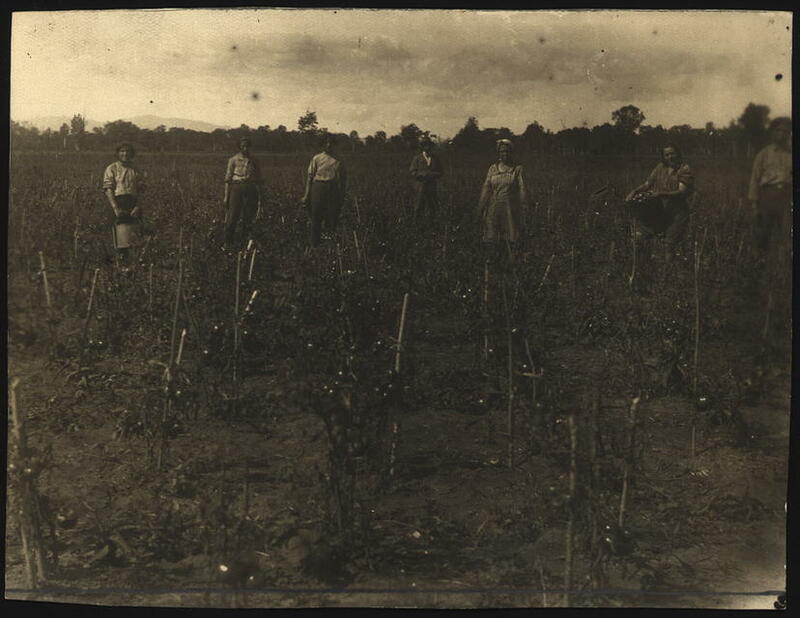 2 (Winter 2015): 71-91. “yidish” means both "Jewish" and "Yiddish," both senses are invoked here. Glatstein, Jacob. “Qibya.” In geveb, February 2016: Trans. Adi Mahalel. https://ingeveb.org/texts-and-translations/qibya. Glatstein, Jacob. “Qibya.” Translated by Adi Mahalel. In geveb (February 2016): Accessed Apr 20, 2019. 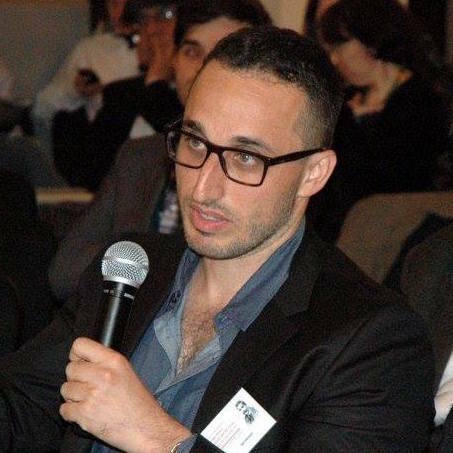 Adi Mahalel is a visiting Assistant Professor of Yiddish Studies at the University of Maryland, College Park.